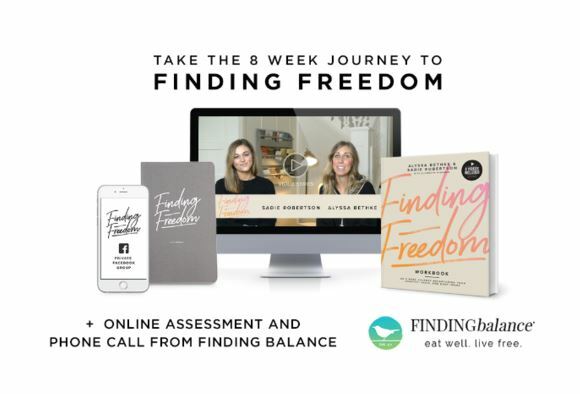 As the leading Christian resource for eating issues since 2002, FINDINGbalance is honored to serve as official ministry partner for Alyssa Bethke and Duck Dynasty’s Sadie Robertson on their great “Finding Freedom” study, and to provide “Next Right Steps” and other tools to help you move forward in your journey toward lasting freedom from food issues. On this page you can find a few of the resources we offer, including links to access items you may have already pre-purchased as part of Finding Freedom. Not a member yet? Click a package below to learn more! Don’t miss Constance and Angelica following each week’s lesson! 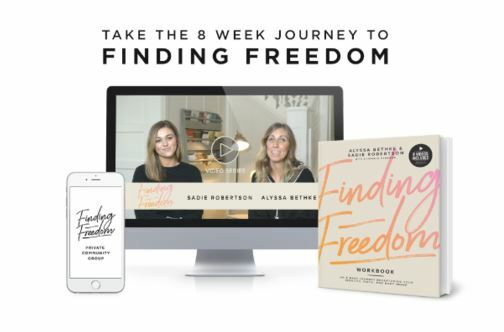 At the end of each Finding Freedom video is a short clip with FINDINGbalance founder Constance Rhodes and Clinical Advisor Angelica Gonzalez, LMHC, offering expert tips and details for each week’s “Next Right Step”, as featured in your Workbook. They also answer your questions LIVE each Wednesday in the Private Facebook Group (more details below). Not signed up yet? Click here to purchase. 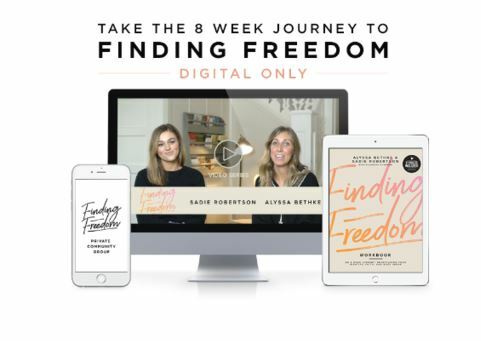 Your purchase of the Finding Freedom study includes exclusive access to our private “Created To Be Free” Facebook group, where you can connect with other women on a healing journey for encouragement and support along the way. Comments are moderated to keep this a safe space for everyone. Each week we’ll also do a LIVE Q&A to answer your questions about disordered eating, nutrition, recovery and balance. To join, click the button below and be sure to have your ACCESS CODE handy. You can find this by watching the 1 min. “Private Facebook Group” video in your Finding Freedom dashboard (scroll down to “Additional Resources from FINDINGbalance“). – Constance Rhodes, Founder & CEO, FINDINGbalance, Inc. NEED A COUNSELOR OR TREATMENT REFERRAL? We have a growing network of Christian professionals you can reach out to, including many who offer distance coaching services.